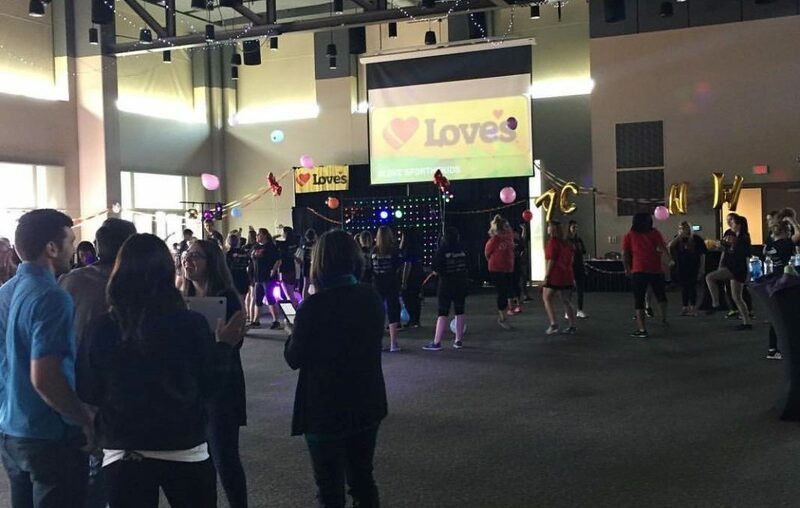 This year was Hogs for Hope at the University of Arkansas third annual Dance Marathon. Our program gets to support bringing care close to home with the new Springdale, AR campus of Arkansas Northwest. This hospital is going to bring care to 200,000 children in the Northwest Arkansas area. We are so glad that we get to bring awareness to children’s health to Northwest Arkansas through Dance Marathon. During the event participants danced the day away!! There was various activities including Zumba, Just Dance, lip sync battles, karaoke, games and a final rave. Throughout the day participants learned a morale dance together for us to come and support one another. Participants had plenty of photo opportunities with a photo booth and photo backdrops surrounding the venue. We had a Love’s power hour sponsored by Love’s Travel Stops. 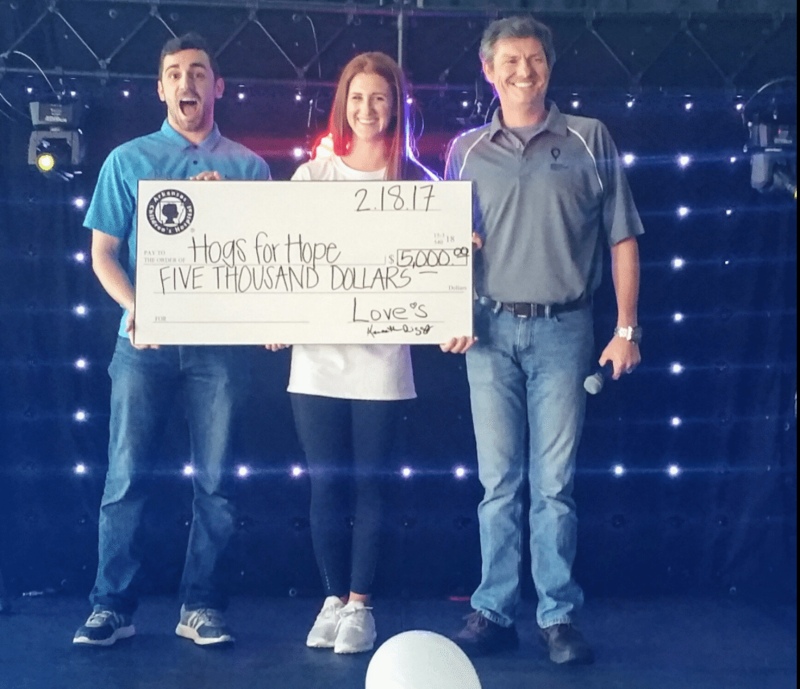 During this hour Love’s Travel Stops representatives can to our event and presented their sponsorship check. We encouraged dancers to each raise $40 for the 40 states Love’s Travel Stops services. During this hour we raised about $1,000!! Our Miracle Families came to share their story. We had two families physically be there this year. The kids danced with dancers and participated in games. Unfortunately one of our Miracle kids had to be in the hospital during our event however we were able to get a video and still share his story with our dancers. 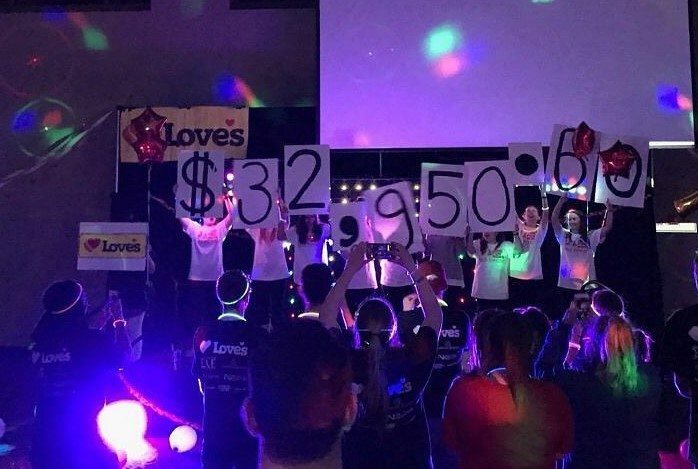 For Hogs for Hope’s third annual Dance Marathon we raised $32,650.60!! Together our 210 participants pledged to raise this money to bring care close to home at Arkansas Northwest. We could not have done this without our sponsors like Love’s Travel Stops and all our participants.